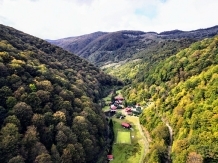 Spending a holiday with accommodation in a rural or farm area in pensiuni in Sibiu Surroundings means to meet an endless landscape heritage, historical, cultural, and artistic and equally vast touristic resources. 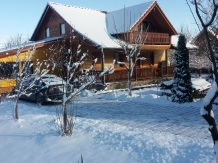 laPensiuni.ro has selected the best offers for accommodation in pensiuni in Sibiu Surroundings , that guarantee a relaxing holiday in the countryside with the utmost satisfaction and comfort. 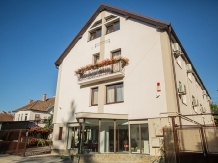 Pension Simar offers great accommodation in close proximity to the center of Sibiu. Come a tourist and you'll leave a friend! 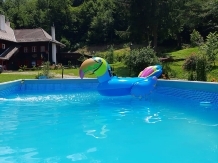 Chalet Basmelor offers modern accommodation and reception conditions with an intimate and enchanting ambience. Here, you can spend a relaxing, unforgettable holiday with friends and family. 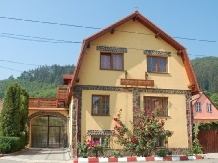 Pension Karina is the ideal place for holidays with your loved ones. Waiting in a quiet area of ? ?town Sadu, fresh air. Flower House Sibiel A corner of heaven in the heart of Transylvania, filled with traditions and customs inherited from ancestors. 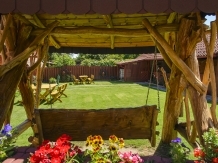 The pension is located at the entrance to Sibiel, 23 km from the city of Sibiu, in a wonderful, secluded and quiet place. 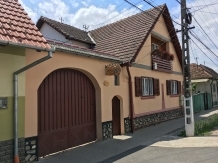 Pension Lazy is situated at the entrance of Sibiu from Bucharest, in Selimbar. 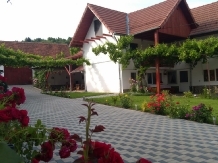 At the foot of the mountains, in an oasis of tranquility, in Gura Raului there is the Green House holiday home. 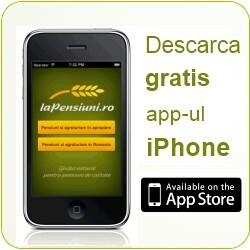 Fortuna Pension is a pension urban, central and comfortable, the clients arrive as guests and return as friends.